StyleFeeder won an MITX award! Posted on June 4, 2008, 8:53 pm, by Philip Jacob, under Misc. Last night, we had a bit of a (good) surprise by winning an award from MITX in the “Collaboration and social networking” category. Hey, it’s not every day that something like this happens, so we have to savor these moments! Our friends at HubSpot also won also won (Hey, Dharmesh and Yoav!). I ran into Brian Halligan (CEO of HubSpot) and well-known troublemaker Ed Lyons after the event (Ed then proceeded to lecture Katie Rae of Microsoft about the pitfalls of SharePoint, but let’s just pretend that part didn’t happen). One thing I’m particularly glad about is that we received our award before the fire alarms went off, which prompted a mass exodus out in front of the hotel over looking the river. Hey, if you have to evacuate your hotel due to a fire threat, that’s a nice place to do it (our previous experience with flames involved a bit more action). Congrats to the other winners from all of us at StyleFeeder! 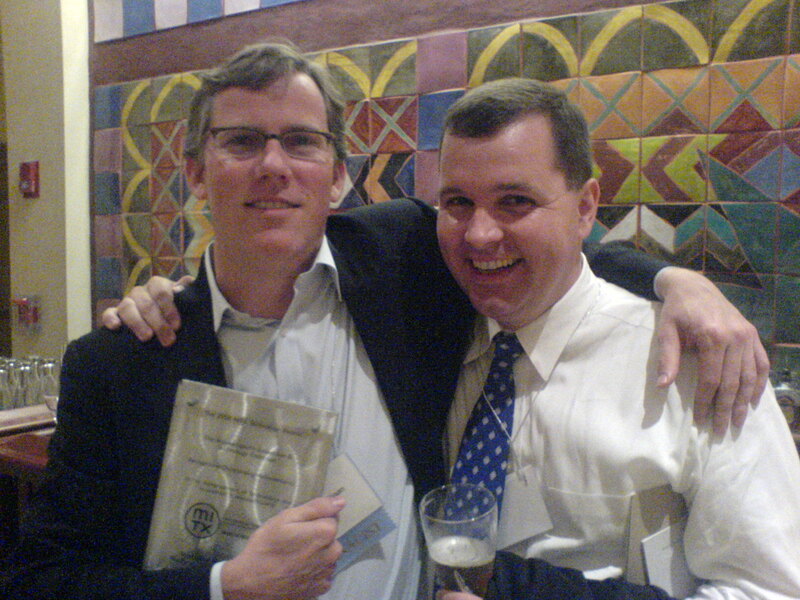 Ed Lyons and Brian Halligan posing for a photo. Now, *that’s* something I would not have expected in the near term. In any case, congrats to the StyleFeeder team. Good stuff. Is this like the first public posting linking Ed’s name with Argumentarium? I played w/ your app a bit — its cool!